No one really likes the bunt. Baseball players bunt because their manager tells them to or because nothing else seems to be working. They bunt – usually as a sacrifice, giving up an out in the process – because they have to. No one likes the bunt, do they? I mean really really likes it? In 2005, then-Nationals Manager Frank Robinson told The Washington Post that even his pitchers complained when he called on them to bunt. Some experts argue that at the college level it’s more difficult to bunt with an aluminum bat. But, I see it at college games all the time. Some fans and players might consider a bunt dull baseball. I think it’s beautiful. 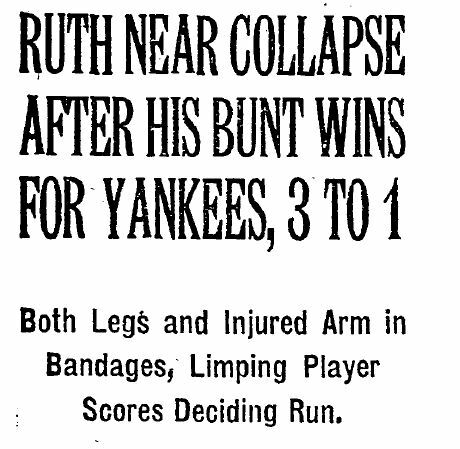 Babe Ruth “near collapse” wins the game with a bunt! A batter squares up to bunt – and with that one simple movement and change of position he has told everyone, including every infielder, exactly what he intends to do. He knows that where he drops that bunt is key. He knows he’s going to have to run like hell. It’s sort of gutsy when you stop to think about it. Oh, and last week’s Korean All-Star Game included a bunting competition which is sort of like if you took bunting and curling and mooshed them together. The result is absolutely awesome. This entry was posted in Baseball, University of Virginia and tagged Bunts, college baseball, Earl Weaver, Korean Baseball, University of Virginia by Jackie, The Baseball Bloggess. Bookmark the permalink. NOPE !! Nobody likes a Bunt … Isn’t that Called Small Ball ? or is it No Balls !! lol Love your Stuff Girl … Keep it Up !! Oh, I’ll take a 3-run homer over a bunt any day … but I still love a perfect bunt. And, a suicide squeeze is one of the most exciting moments in baseball! I LOVE the Suicide Bunt Too … Loved the one Bryce Harper Pulled on Cole Hammels when Cole was still with Philly ! LOL ! Earned Himself a HBP in the Ribs from Cole too … LOL ! 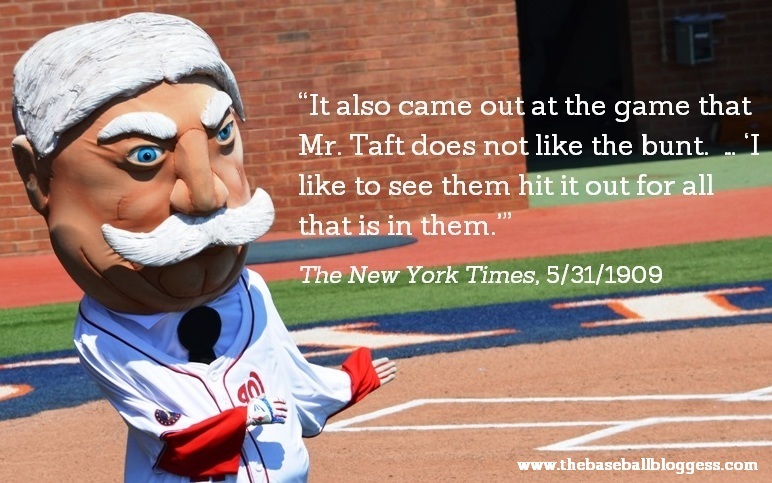 Awwww… I so Love the Traditions of Baseball and HOPE and PRAY that the New Commish Doesn’t Start Shaking them all Up with these SILLY Complaints about How Long the Games Take to PLAY Now ! I mean if You are going to a Game and It is Lasting Too Long; Each person has the Right to GO HOME whenever they want to – Right ? But dingers are more visually appealing. Kind of like how racing is in reality extremely technical, but it’s the speed that’s appealing. You’re exactly right. I’ve been trying to photograph bunting at college games for the past season … and I can see from the photos how important it is to have your hands perfect when you move and square. I have photos of some incredibly sloppy hand positioning that I’m sure was caused by having to move into position so quickly … I hadn’t thought of that until you mentioned it! I guess most of us don’t like the bunt because it’s almost always a sacrifice out, and though we may understand the strategy, we hate to give one away, anyway. On the other hand, a good bunt is a very hard thing to do, requiring a very skillful batter, and it can be thrilling to see a really well laid bunt, especially if the batter actually manages to beat the throw to first- which sometimes happens. In any case, it’s one of those strategic managerial decisions that make the game fascinating. Also, it emphasizes the “team” aspect of the sport; passing up a chance to get a crowd-pleasing hit, to do the thing that’s best for the team, at that moment. I can’t think of another example, in the lesser sports, of such a thing. I always hewed to that Earl Weaver line — you only have 27 outs, why give one away? — but if someone is willing to give up an out to move a game forward, that seems an incredibly gutsy strategy. Suicide squeezes are a thing of beauty. And how many people do you know that won a bunt competition? Yay, Heo Kyung-min. Glad you found that, Bloggess. And, they say the Internet is just a black hole of bad news and Pokemon! The Internet is wonderful … it brought us the Korean bunt competition! The Bunt – I have to say I agree with the commentators – but when it is done masterfully – that is excitement – you run with the guy and hope like heck there is a fumble on the pick up and voila – game changer! Because the pitchers in the National league are hitting – they will often attempt this without success. But the other 8, it is worth watching and waiting in anticipation that this one will WORK! In my opinion, a well placed and executed bunt – nothing but refined baseball work. Every season there are a couple bunts that roll down the line and look like they will roll foul and then they just stop. And, you just see the infielders trying to decide, “Do I grab it, do I let it roll foul?” And, then the ball just stops. A bunt has all sorts of skill and strategy woven in it … but I’m not going to ask the Orioles’ Mark Trumbo or Chris Davis to bunt for me … I’m content to let them hit one onto Eutaw Street! I love the bunt. Of course, it’s not for everyone – as you say, Bumgarner, for example. However, it serves a real purpose. I’d like to see a whole lot more of them to move the teams off of these exaggerated infield shifts. Just think what George Brett, Ted Williams or Rod Carew could do with those defenses. They’d end up on first base every single time they came to the plate. Ha Ha! It just may be that, just like me, the Yanks are keeping an eye on the best blog from an Orioles fan. They have something on the O’s right now. There are bad bunts, and there are beautiful bunts. The beautiful ones take a lot of practice as well as a bit of luck, but they are wonderful to see executed perfectly. I’m probably one of the few who agree with you, that I like the bunt, and as a player I liked to bunt. I had good speed, and most of the time could get a hit out of it. It beat the hell out of whiffing on every curve ball thrown to me, anyway. 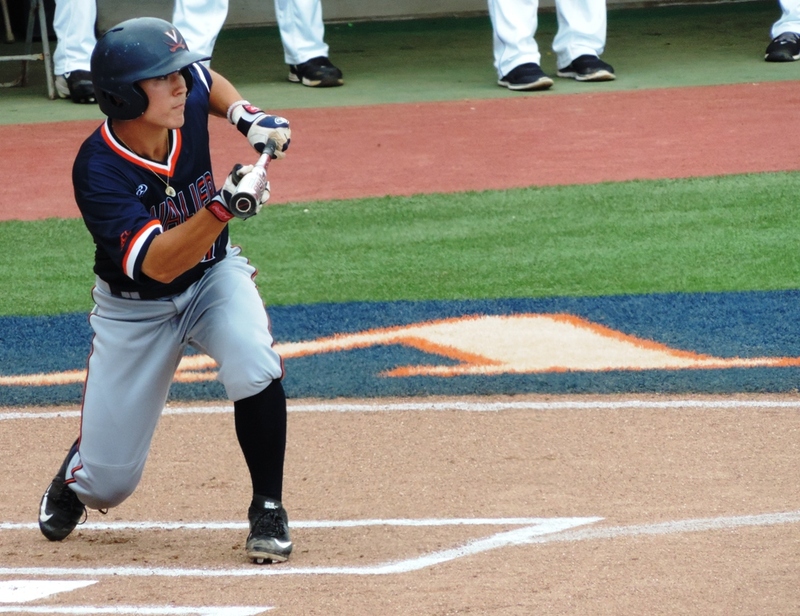 As you’ve seen the college game is a great place to see bunts, and small ball played. The players are good at it, and I think have more of a team attitude. It makes me sick when I see major leaguers being paid millions and they don’t have the ability to lay one down. Look how the U.S. gets beat in the World Baseball Classic all the time. They can’t produce runs, and they can barely play defense against the small ball teams. Personally, I think it’s exciting, because you have the runners in motion, the infield in motion, more moving parts means and infinity of things can happen, and that’s really what baseball is about, imo. I had to smile a little when wobbly old Carlos Beltran bunted for a hit against the shift on Wednesday. Unfortunately, it was against the Orioles. Randy joked that the Yankees were reading my blog. But, yesterday, Julio Borbon (yes, THAT Julio Borbon) laid down a sacrifice bunt for the O’s. A little strategy-wise small ball works for me, especially when the home runs seem to have run dry and it was nice to see that. It hadn’t occurred to me until I started to pull this story together that years ago there was concern that the introduction of aluminum bats would destroy the bunting game at the high school and college levels. Of course, the bunt was perfected in the 19th century when one side of the bat was flat, so I suppose they said the same thing when bats became rounded. In any event, watching both the batter-runner and the infield play the bunt is exciting and often a thing of beauty. It always baffles me why so many Major League players are failures in this important fundamental of the game. Attitude? Consistently winning teams always seem to have players who can get it done, besides relying on the long ball. HA! I LOVE to bunt. When I was a kid playing in Little League ball, I was awesome at second base, but didn’t quite understand what they meant when I was batting and they said “keep your eye on the ball.” I thought I was. But I missed the dang thing…a lot! But I could bunt. And usually beat it out at first. One time, because of about three big errors, I hit a home run off a bunt. YAY FOR BUNTS, babe! !